Deep inside the subpolar fjords of Antarctica, researchers have uncovered an unexpected abundance and diversity of marine life at the seafloor. The team, led by Dr Laura Grange, a researcher at University of Southampton, and Professor Craig Smith of University of Hawai’i at Mānoa, document their discovery this month in the scientific journal PLOS ONE. This is the first time that scientists have studied the seafloor communities of glacier-dominated fjords along the west Antarctic Peninsula, a region undergoing very rapid climate warming and ecosystem changes. The scientists expected to find impoverished seafloor communities highly disturbed by glacial sedimentation, similar to those that have been documented in well-studied Arctic regions. But to their surprise, bristle worms, anemones, sea spiders, and amphipod crustaceans abounded in their seafloor photographs, along with a number of sea cucumbers, deep ocean jellyfish and other species. 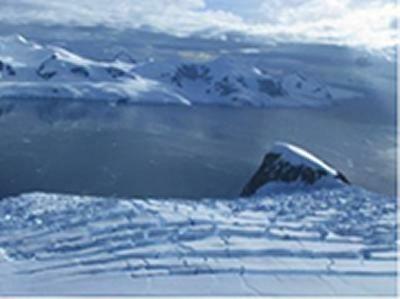 Above the seafloor, the fjord waters were dense with krill. “There appears to be something special about these fjords that stimulate seafloor productivity,” says first author Dr Grange, who is based at the National Oceanography Centre, Southampton (NOCS). Researchers have even suggested that large aggregations of humpback whales may stimulate fjord primary productivity by releasing nutrients as they feed and defecate in the fjords during seasonal immigration. However, the authors warn that even with a variety of pathways to fuel the remarkable diversity of animals on the seafloor, Antarctic fjord ecosystems fare at risk from climate warming. These favourable conditions are very likely to change as the climate warms rapidly, accelerating glacial melting and dumping large amounts of fine glacial sediments into fjord headwaters, according to the authors. The resulting higher turbidity and seafloor sedimentation will likely shade the phytoplankton and bury diverse seafloor communities, or smother primary production and biodiversity in these narrow canyon-like ecosystems. “The extraordinary ecosystems, which provide habitat and foraging areas for krill and baleen whales and are hotspots of seafloor diversity, are very likely to be negatively impacted by the very rapid climate warming occurring along the Antarctic Peninsula,” says Professor Smith. Dr Grange was a postdoctoral collaborator at University of Hawai’i Mānoa during this study.